It was a truly landmark event not only in boxing, but in the careers of Muhammad Ali and George Foreman, in black music and in the career of the man behind it all, Don King. It was “The Rumble in The Jungle” of 1974 and, in honour of The Greatest, who as we all know passed away in June of this year, promoter extraordinaire King is planning a sequel, a “Rumble in The Jungle II” as it were. King, in speaking with Ghanaweb.com, said that although the country of Ghana remains a strong possibility for the extravagant event he has planned for late October or early November of this year (Ali’s epic fight with Foreman, which was accompanied by a star-studded music festival featuring the likes of James Brown, B.B King and Bill Withers performing for free, took place on Oct. 30) there are other countries in Africa also in contention. But wherever the event is held, if King can get it off the ground, it could well be seen and experienced by millions and will, hopefully, be the ultimate of tributes to the incomparable Ali. So far there are no fighters being mentioned, in public at least, when it comes to who will rumble in the jungle this time round. But again, if King can pull this off – with, say, a major heavyweight champion such as a Deontay Wilder or even an Anthony Joshua being willing to work with him in conjunction with their respective promoters – it would be something that could only be encouraged. And if King has plans to again throw in a free musical gig, all the better. 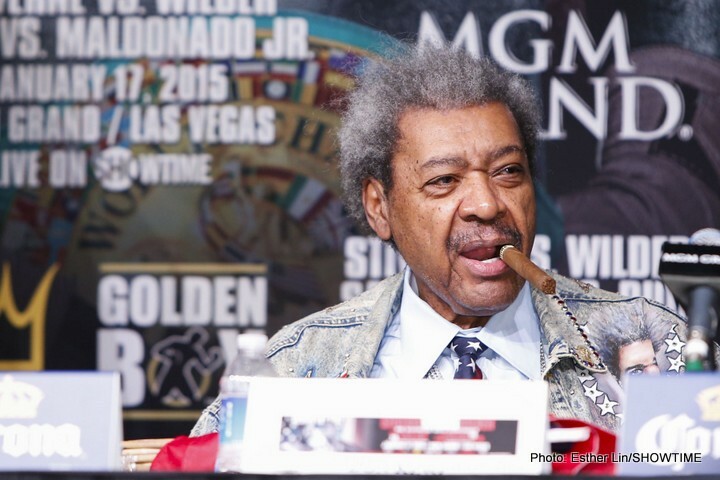 The Don King of today is nowhere near as active as he once (only to be expected considering he’s well into his eighties) but maybe, just maybe, King will get this lofty project off the ground and it will be both a fitting tribute to the greatest heavyweight boxer in history, as well as the swansong to end all swansongs for King himself. Interestingly, not too long ago, IBF heavyweight champ Joshua spoke about his desire to fight in Africa. “It would be cool,” A.J said.